Address: 191060, Russia, St.-Petersburg, Smolniy st. 1/3, entrance 8. 2006 - PhD in Political Science, St.-Petersburg State University. The topic of the Ph.D. dissertation: “Political aspects of the forming of the new international system”. Global governance and World Political System formation. Eurasian Union and Post-Soviet Integration. The Arctic’s transnational area. 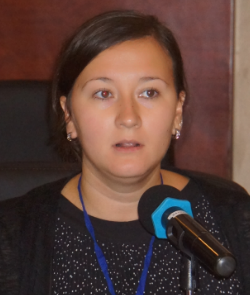 15.Lagutina M. Russian Arctic Policy in the XXI-st century: from international to transnational cooperation? // Global Review. Winter 2013.